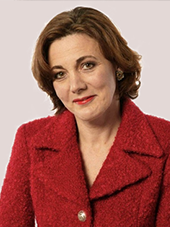 Diane is the former Chief Operating Officer of distinctive fashion retailer SuperGroup PLC. She went from having three Cult Clothing stores in the local area to a nationwide retail roll out and worldwide distribution of the Superdry brand. In March 2010 she took SuperGroup PLC to full floatation on the London Stock Exchange and into the FTSE 250. This led to the company being given the Award for the Best Initial Public Offering in 2010. She has also been involved in the management, development and operation of associate business, innovative coffee chain Soho Coffee Company, which built to £2 million turnover from four locations and then sold the business on. 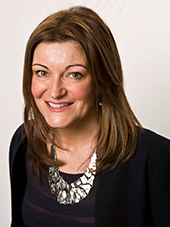 Since stepping down from the Board of Supergroup PLC in 2012, Diane now chairs the Gloucestershire Local Enterprise Partnership alongside other non-executive Directorship roles. Diane has also been named Gloucestershire Businesswoman of the Year and is a Member of the Institute of Directors and a fellow of the Royal Society for the Arts. A highly experienced MBA qualified, senior business development management professional with experience spanning a wide variety of industry sectors. Proven track record in creating business relationships to establish and enhance commercial growth. Fluent in current and emerging business practices. Professional, committed and politically astute. Successful in delivering cost effective and operationally beneficial solutions. Directed globally distributed functions at Group Board level, defined short and long term sales and marketing strategies in line with business driven goals. Managed significant numbers of personnel and holding full budgetary responsibility. Successfully project managed outsourcing initiatives for a major call centre initiative. Delivered business objectives on time and within budget constraints. Demonstrable history of establishing and growing sales through defining and measuring stable systems. Introduced successful controlled marketing development programmes to enhance business performance. Led a corporate streamlining and business transformation process to a successful conclusion raising sales volume by 70%. Long term success in turning under-performing sales and training departments into business oriented, productive, cost effective units. Over the 32 years that Edward and his wife Alyson have lived in Cheltenham they have been regular visitors to the Festivals. Between 1980 and 2012 Edward was General Manager of Cheltenham Racecourse becoming Managing Director in 1990 Cheltenham Racecourse. Edward is firmly embedded in the cultural and community life of Cheltenham and Gloucestershire including the following responsibilities and activities. •	Supporter of local sport, playing cricket for Gotherington and Gloucestershire Gipsies, and watching Cheltenham Town FC and Gloucester Rugby. •	Board member of the Everyman Theatre 1996-2011; Chairman for 10 years. •	Chairman of Gloucester Cathedral Council since 2006; Cathedral Chapter 2013. •	Currently learning to play Bridge and the trumpet. For the last four years Caroline has worked closely with the programming team at the Cheltenham Literature Festival. She is also a member of the Literature Festival Advisory Board, which she joined after co-ordinated the 2013 inaugural Books Are My Bag campaign. 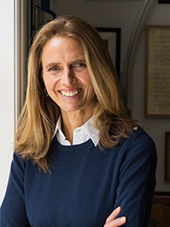 In 2003 she set up the Althorp Literary Festival, which she ran for four years. She has written regularly for Reader’s Digest with two to three monthly columns over the last ten years, including Books That Changed My Life. She also writes interview features for Saga Magazine and The Sunday Times. She has experience in managing major events, press liaison and public relations; and was European Communications Manager for the ATP Tour (the men’s professional tennis tour), working with the top players at tournaments throughout the world. Other experience includes looking after high profile clients at Independent Talent and Freuds. She has been an active board member of The Royal Parks Foundation for the last eight years and a long-term fundraiser for ACE Africa. She was patron of The ExtraCare Charitable Trust in Northampton, helping raise £3 million towards the development of St Crispin’s retirement village. She read English Literature and Language at Oxford University. Later completing a post-graduate degree at The Institute of Education. She taught Year 6 and above, both in the state and private sector and also set up a children’s summer camp in Sussex. A scientist by training, Vivienne hosts medical programmes for BBC Radio 4, writes widely on health, presents films, facilitates many high level conferences and debates and trains young researchers. She also has a part time role as head of engagement at Genomics England which is delivering the 100,000 Genomes Project. She is a board member of UK Research & Innovation (UKRI) which is responsible for the UK’s £6 billion research and innovation strategy. She is also Chair of the Cheltenham Science Festival. 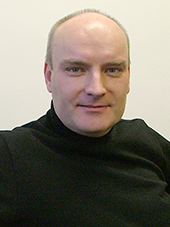 Lewis Carnie is Head of Programmes at BBC Radio 2 and the Digital Station BBC 6 Music. Radio 2 is the most listened-to station in Europe with 13 million listeners every week and under Lewis Carnie’s leadership has achieved Sony UK Radio station of the Year three times. Prior to joining the BBC, he worked in management positions in sports sponsorship, commercial radio and live music promotion. After graduating from Cambridge University with a degree in English, Peter Howarth worked in the fashion industry for Paul Smith as Projects Manager and then for Nicole Farhi, where he set up the menswear collection and was head of menswear. He then became a journalist and has been Style Director for British GQ and Editor-in-Chief of Arena, British Esquire and Man About Town magazines. Peter has written for many publications, including The Times, The Guardian, The Observer and L’Uomo Vogue. He has also been a columnist for Men’s Health, The Times and the Financial Times. In 2002, he set up Show Media Ltd with two colleagues from Esquire. Show Media is a creative agency in London that specialises in content creation (for print and digital), strategy and brand consultancy, and produces a portfolio of magazines including Brummell, Skibo and Hurlingham. Show Media rebranded The Shard and has clients across the fashion, lifestyle and property sectors, including Burberry, Belstaff, Dunhill, Rolls-Royce, Armani, Versace, Harrods, Land Securities, Knight Frank, CBRE and the Royal Exchange. Peter is a columnist for Boat International and regularly contributes features to the magazine. He is also the editor of a book, Fatherhood: An Anthology Of New Writing, and has completed his second novel. 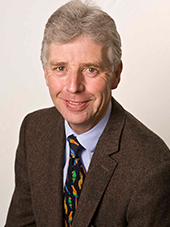 Matthew has been a qualified solicitor for over 20 years and is a partner in law firm Willans LLP. His clients include multi-national companies, SMEs, owner-managed businesses, public sector bodies, charities and other not-for-profit organisations. A former Cambridge University choral scholar, he is heavily involved in the musical life of Gloucestershire and has at various times been chair of trustees of a music charity, and a primary school governor. Having lived her whole life in Cheltenham, Beth Griffin has been attending festivals since primary school. Beth is a local musician and spoken word artist performing across the country with her bands 5 Mics & BAAST. 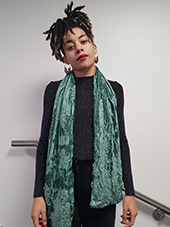 Beth is a workshop facilitator and teacher who is passionate about nurturing young talent and providing opportunities in the local area for young creatives to help shape a vision for the future where young people can get involved in creating a local sustainable cultural scene. 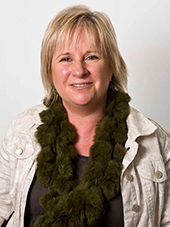 Sarah Cooksley is an English teacher with over 15 years experience, including 4 years as Subject Leader. She is passionate about education and improving the life chances of young people. Sarah believes in the power of enrichment within education and the need to provide access to the arts for all, and is particularly interested in helping to provide cultural experiences for the local and wider community and in developing and showcasing the talent of young people. Sarah has been a keen festival goer for a number of years, both in her role as a teacher and as a member of the public, and has worked with the Education team on a number of year round projects. Beverley Grimster works with some of the most vulnerable groups in Gloucestershire through her work as a Service Delivery Manager for the Independence Trust. 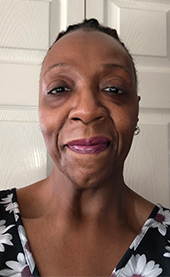 Beverley is passionate about the Arts and Sciences and a keen festival goer, her ability to engage with all levels of society and in particular minority communities, is something she is keen to bring to the Board of Trustees. Day to day Beverley works with people who have no idea about the festivals, and feel that they are not for them. Beverley believes that inclusion is so important and for the Festival to grow and become part of the DNA of Gloucestershire, ways of reaching out to groups from Gloucestershire and beyond has to continue to be a priority. Having been raised in Cheltenham, Shamil Makhecha knows each of the four festivals and is still drawn back to his ‘hometown’ as a Literature and Jazz lover. 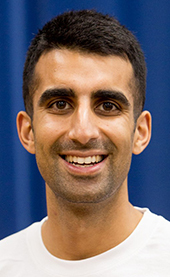 Shamil is currently the Director of a London based Race Equality organisation and Gender Equality Officer at a leading development organisation, so brings to the Board a national commitment to diversity and equal representation. Shamil is a senior leader with a passion for social justice with experience in advocacy and campaigning, programme management and youth engagement. Through all his work Shamil is proactive and driven by a desire for change. 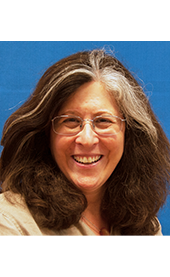 American by birth, Deborah Thacker has been a UK resident since 1975. She has been teaching literature in higher education for 25 years. Her research is focussed on the inter-relationship between publishing, marketing, education and children around reading, but she has published on many aspects of children’s literature. She teaches on an American programme in Bath, but is recently retired from the University of Gloucestershire, where, as Subject Leader in Humanities, she developed links between the Festivals and students. 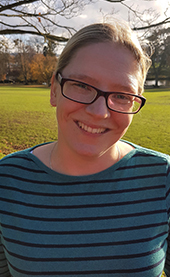 She has been involved with the Festival’s Reading Teachers= Reading Pupils project since its inception, as the field researcher for the Open University Evaluation team. She is on the Board of Governors of a small Gloucestershire primary school and is Chair of the Teaching and Learning Committee. She is also on the Board of MakeBelieve Arts, a small educational charity which delivers an innovative storytelling curriculum to schools around the world. Mark is an experienced Non-Executive Director skilled in providing positive challenge, strategic oversight and lateral thinking to deliver transformational change within diverse businesses and company cultures, locally, nationally and internationally, whilst remaining connected to the values of collaboration, innovation and integrity. He has been both a life patron and a passionate supporter of the Cheltenham Festivals for many years. 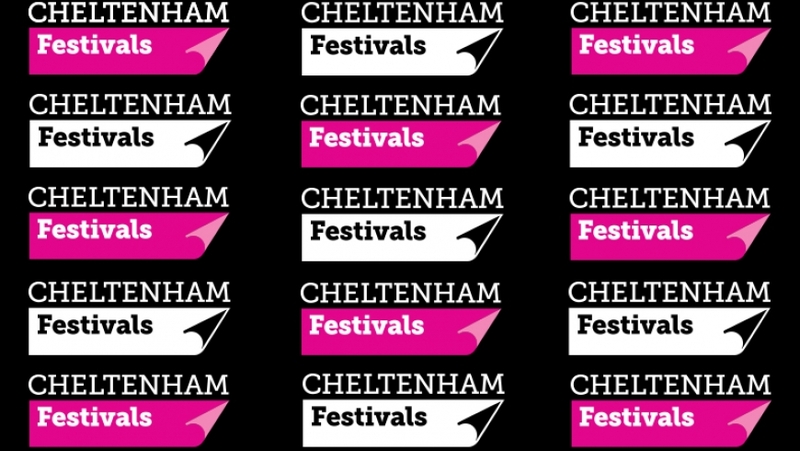 While Cheltenham Festivals has continued to develop as a world class leading cultural and charitable organisation, he has been able to help with the expansion of education as an important component of the four Festivals. Philanthropic engagement is not new to him and he sees real benefits in using the best from the worlds of business and philanthropy to create something more powerful. Mark is also a Trustee of his family’s charitable Foundation. Mark lives near Cheltenham with his wife and three teenage boys and all members of the family are massive Festival goers.